Why should you skin your application? We live in an age where image is everything and first impressions count, you have less than a few minutes to impress your users and customers. Do you need your applications to have a professional appearance without investing in a 3rd party GUI framework? Do you need your applications to have a consistent visual style no matter what platform they are deployed on? Do you have legacy .NET applications that require an instant facelift but don't have time to rework them? If you answered yes to any of the above questions then perhaps we can help! 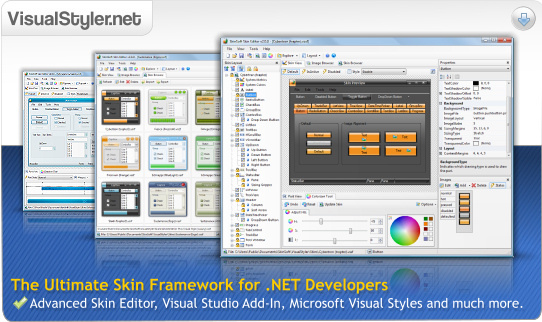 Our products can give your windows forms .NET applications an instant makeover.